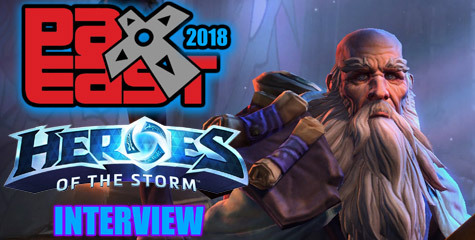 Blizzard posted a new card reveal from Hearthstone: Heroes of Warcraft online CCG. 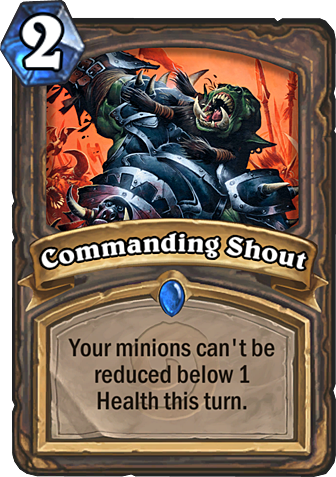 The Warrior class’ Commanding Shout card is able to protect your minion cards from certain death by giving each of them the ability to not go below 1 health for one turn. 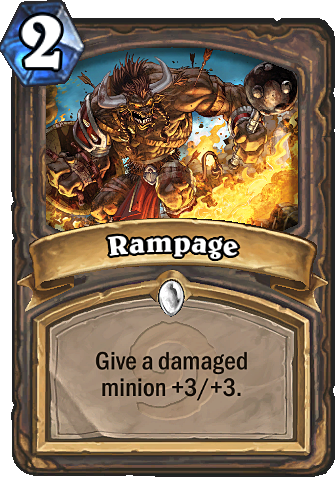 That means if the opponent casts an AOE ability that would usually kill all your minions, this card prevents them from dying, and allows you one more round of attacks. 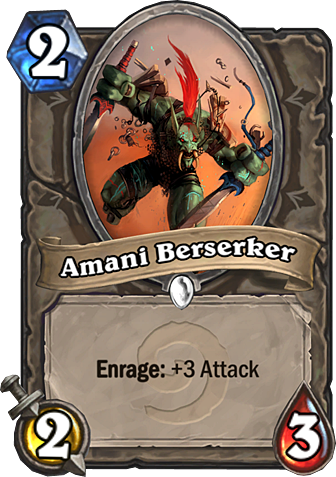 In addition, Blizzard presents two new cards: Amani Berserker and Rampage, providing a few scenarios that can be played in conjunction with Commanding Shout to surprise your opponents with powerhouse minions. 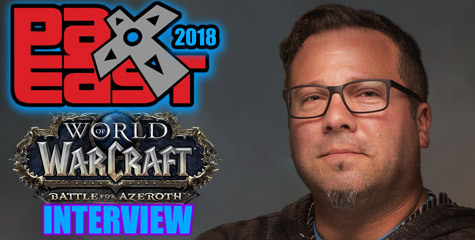 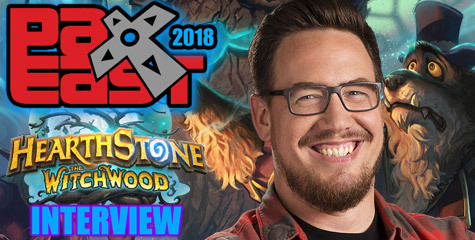 Check out the full preview.